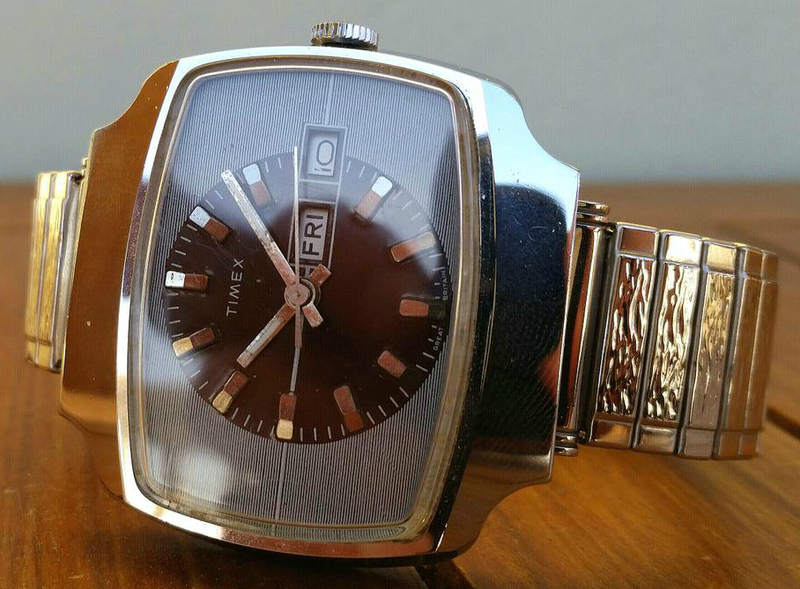 Very rare UK TIMEX from 1976 - "TV dial." Sixties vibe. 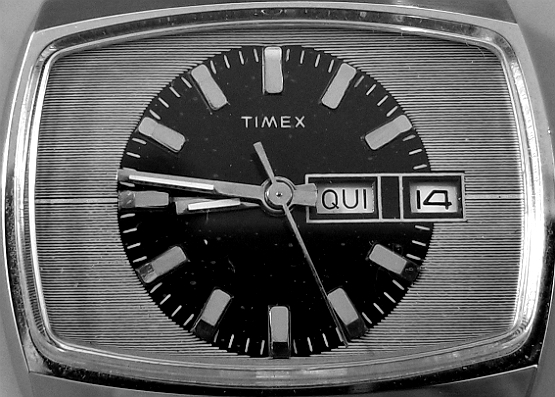 Timex "TV dial" watch, Great Britain. 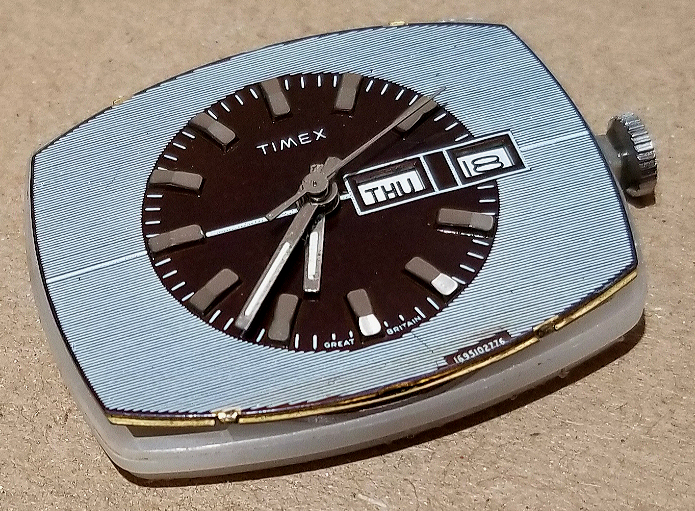 I obtained this unusual Timex in May, 2013, from an ebay seller in the UK. It was included in a lot of a few other watches, and listed as "running." Auction was only £2.46 (plus £10.00 for shipping.) When I received it, I found that it wasn't running at all, but I managed to find a watchmaker willing to try to service it, and now it's working and keeping time. *Added: I found 1 more of these, Aug 2018, in Portuguese language!! See pic. Also, see link, to review, and more at very bottom of this page. This watch was was exceedingly difficult to photograph well, for a variety of reasons, as you'll notice that almost all of the photos look a bit different from each other. The above picture probably best approximates what it looks like in person, under natural light. The round part of the dial in the center is dark brown. It is clearly not black, but dark brown. The very, very fine lines filling in the rest of the dial are white over a light blue background. The hour markers are quite reflective, and have facets or bevels angled peripherally and centrally around the dial, which play with the light and give it some very minor "bling" quality, if you will. The case is large, shiny, having convex and concave curved areas. These features alone made photography challenging. The superfine parallel lines in the dial often created moiré interference pattern, where the lines of the dial are slightly off-axis compared to the lines on the screen on your computer, phone, etc. If you look carefully at the dial, you'll see some of these interference patterns. This Timex is a mystery to me. Why have I never encountered this watch before or since I saw it amidst some junk watches, in small lot being sold by Penny, in the UK? I've seen many ebay watch auctions, and you start seeing the same ones over and over again. 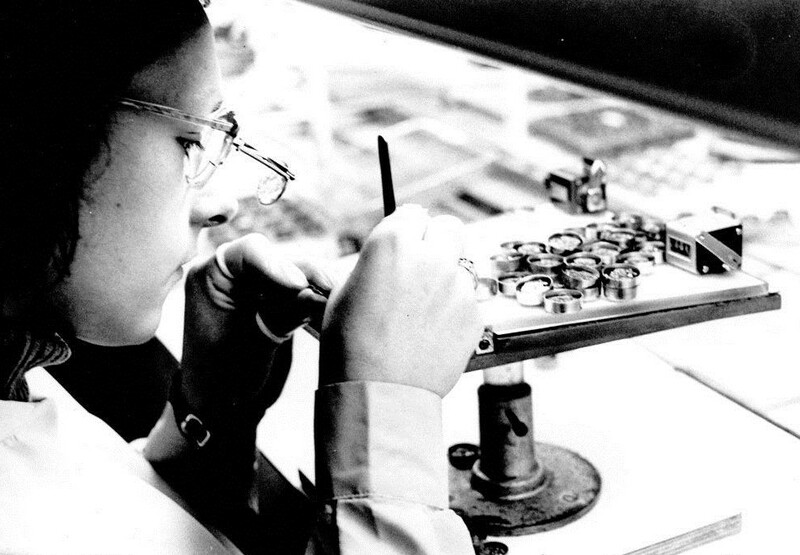 Timex made millions of watches, and even ones from sixty years ago show up with a certain regularity. 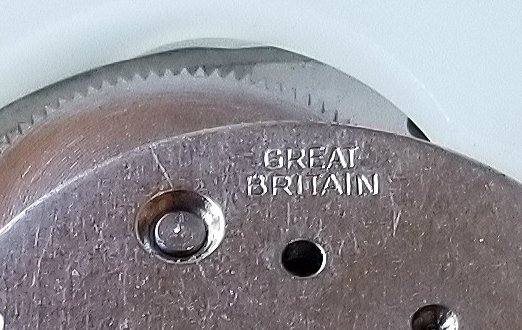 It has GREAT BRITAIN, on the dial.Searching for model 16951 comes up with nothing. I can only conclude that this watch was made in exceedingly small numbers. Otherwise it would be showing up as a "usual suspect" on ebay. Or at least occasionally. Or at least ever. Which it is not. But why such small numbers for a Timex, king of mass produced watches? Did it receive poor orders from stockists, and get pulled quickly from production? 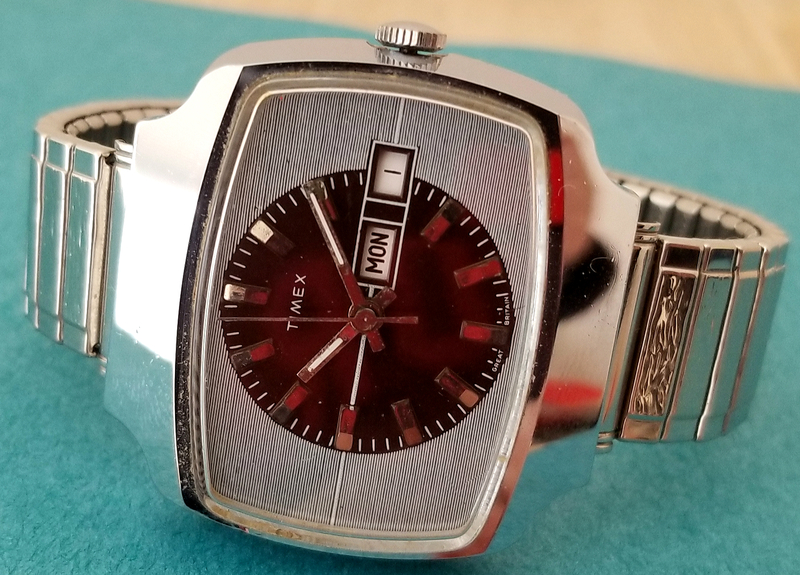 Was it a "sample" watch, made for salesmen to show around, but never actually got mass produced. I doubt I will ever find out, but I have to ask these questions. *Added: I found 1 more of these, Aug 2018, in Portuguese language on the dial!! See one pic, here. Also, see link, at bottom. 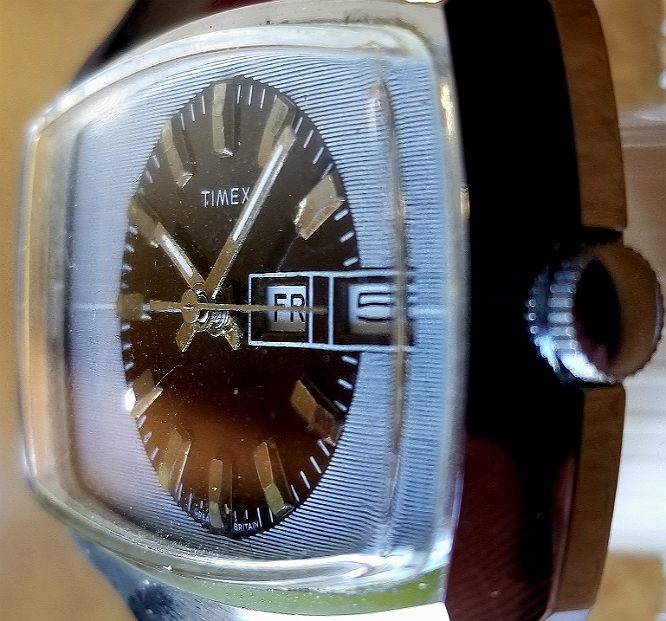 A lot of people will call watches with this general shape, rectanguloid with smoothly curving margins, "TV dial" or "TV case" watches, feeling that these resemble a television set. 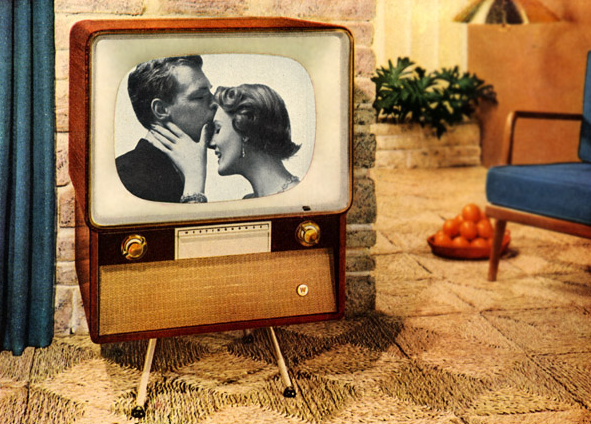 I doubt they were ever marketed in their on time as "TV" watches, but maybe were meant to more subtly, even maybe subliminally, evoke the growing popularity and importance of television. 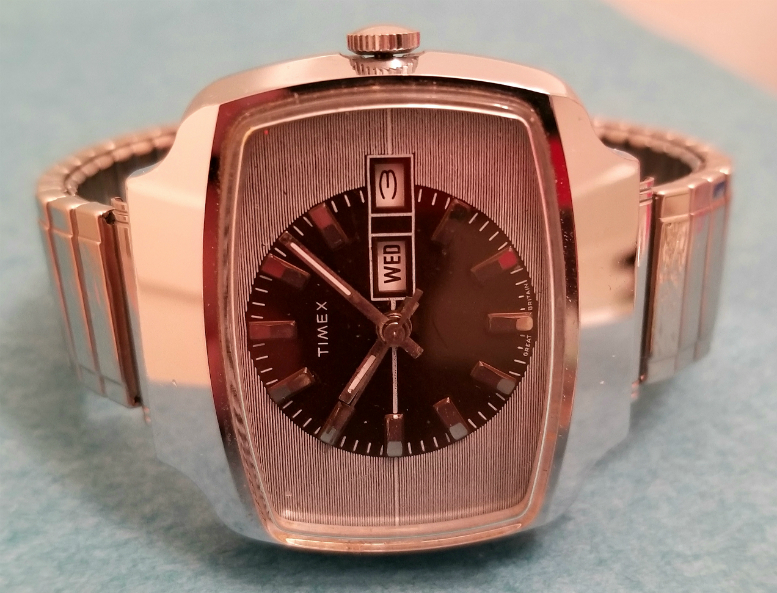 But I didn't design this watch, and have no way of knowing if the designers had a TV in mind, or if they just liked the shape or were more likely emulating a sort of of "TV trope" in watch design. I really love the dial. 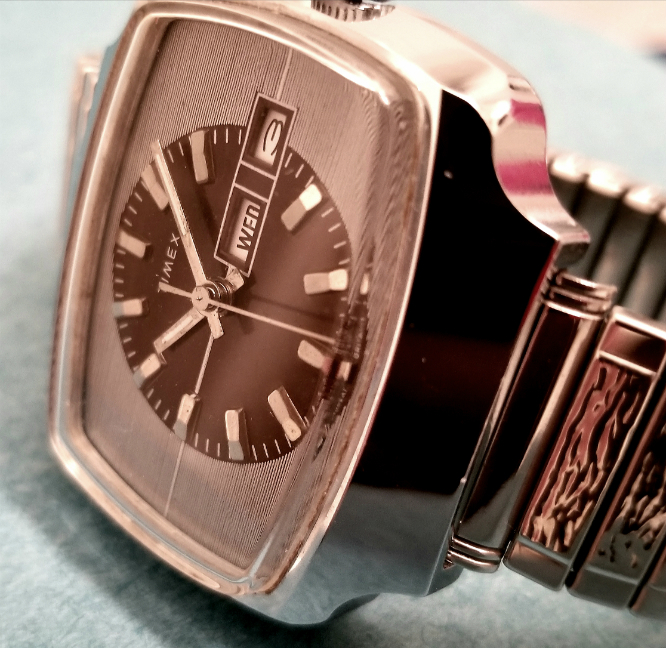 Its smooth, curving margins create a pleasing frame to everything, not as severe as the true rectangular shape of a "tank" watch. Also, it retains at its center a traditional round watchdial. There are highly reflective hour markers at the edge. The hands are fairly standard. The dial contrast is very pleasing. The contrast between the brown and the white/blue, as well as the micro-contrast formed by the thin white lines on the blue backing. Nice touches, like the horizontal line running across the center of the dial from 9 to 3, only interrupted by the day-date windows. More pictures of the watch, below, but first I wanted to talk about the long-since closed Timex factory, in Dundeed, Scotland. The above and below pictures are from that factory. I'm now virtually certain this watch was made there (see below for details on that). 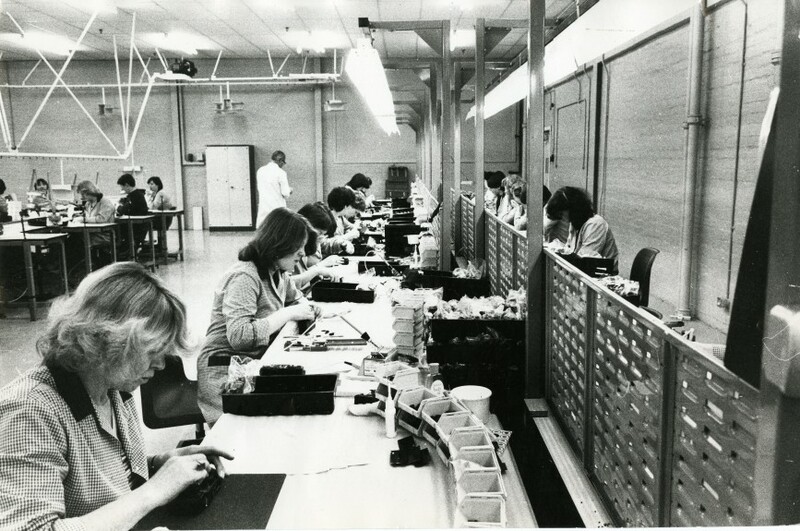 The Dundee factory was a very large operation, and eventually had two or three locations of manufacture in the city. It was shut down in 1993, and if you want to learn more, just search up "Timex Dundee" and there will be a lot of information about the history, labor disputes, and the ultimate closure of the factory. The outside caseback, that is visible when you are wearing it, is kind of odd. None of the usual markings. 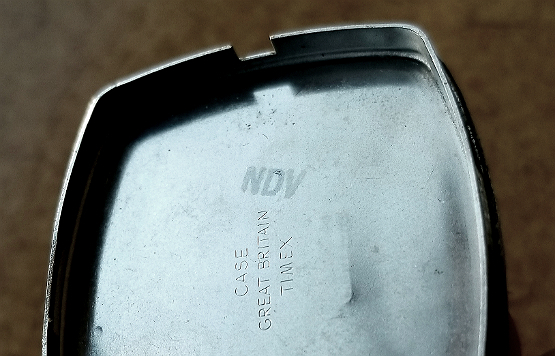 Does not even say Timex, just mentions the composition of the case as well as the caseback, in very small lettering (highly magnified here). Have a look at the movement, above and below. 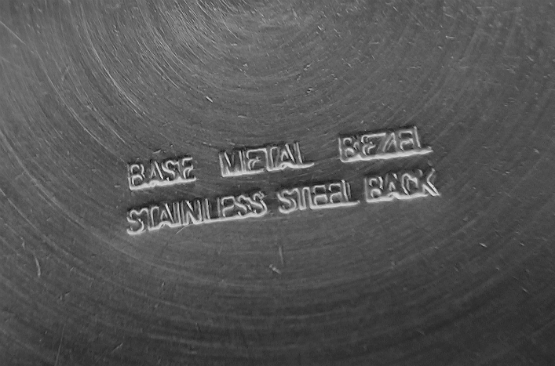 Stamped GREAT BRITAIN, it is the M27 day-date caliber. You can see the white plastic spacer that had to be custom made to secure the movement in its much larger case. Because of the slot along the side of the case where the stem crosses, you don't need to take out the crown to pop out the movement/dial assembly. (Below, just a mag view of the GB signage). 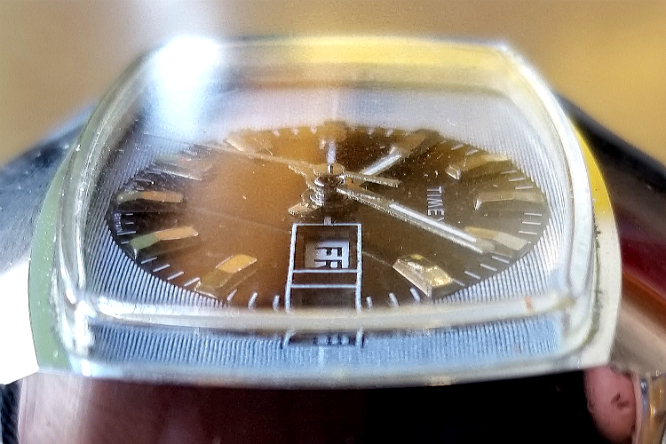 Above and below, the inside of the caseback. Signed, CASE GREAT BRITAIN TIMEX. Also the ink-stamped letters, NDV. Does anyone know what it could refer to? I think most probably some quality control code that by this point would be meaningless, totally lost to history. Like when you buy a pair of trousers and inside the pocket is a piece of paper that says INSPECTED BY NO. 37. But I have no idea. Finally, the dial is signed GREAT BRITAIN at the bottom. Watch therefore has GB signed three places: dial, movement, and case. That's pretty much the whole watch, save for the crown and hands. So, I'm virtually certain it was made in the Dundee, Scotland factory. And I did obtain it from Penny, the seller in the UK. I am not not actually convinced the very fine lines on the dial are over anything blue. Or might be blue themselves. In most natural light settings, the dial outside the round dark center has a light blue look. I first thought the lines were blue. Then I thought the lines were white and a blue background was present. Now I wonder if the lines are white, and the appearance of blue is a sort of trick of the mind. Remember when that woman showed a picture of her dress that maybe was blue or maybe was beige, and the internet exploded. Something like that. (Sorry about the dust on this picture). The crystal is pretty nice. Completely flat surface, and has vertical sides that go up at least 2 mm. 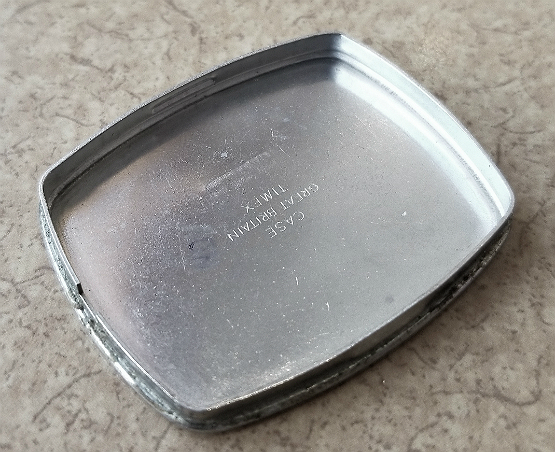 If I ever crack or break the crystal, this watch will probably be history, as it would likely be virtually impossible to find a replacement crystal that fits. That's about it. (WAIT: see below for more info on another one of these I found in Aug 2018, in PORTUGUESE language dial!) Thanks for reading. 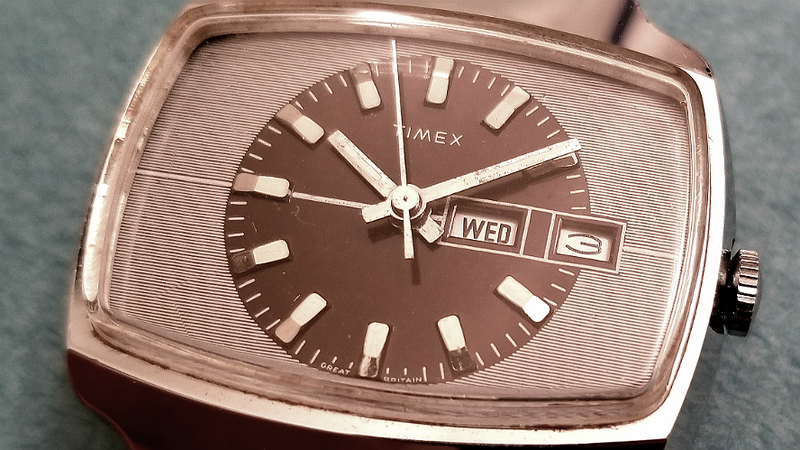 I hope you've enjoyed this page on this unusual, and seemingly very rare "TV dial" Timex. If anyone has any more information, kindly pass it along. I can be reached though email. If you want to see more of my watches, see my main pages on "Alan's Vintage Watches," have a look here, and here. 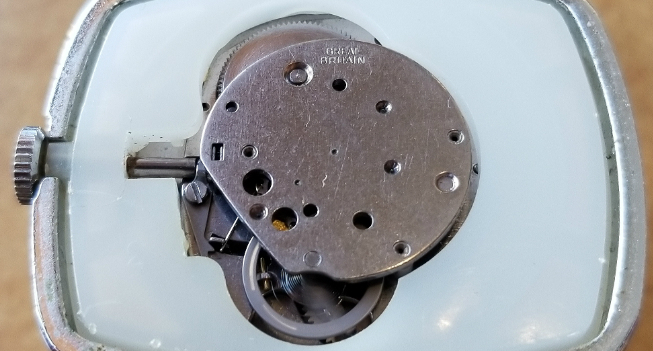 Opening up the watch to expose the number string hidden at the bottom we see that it is model 16951, uses movement 027, and was manufactured in 1976. Numbers not in the midline as typical, off to our right. Below a nice pic of the dial/mvt assembly, removed from case. Newly added, August 2018: I've recently found ANOTHER one of these. See the pic, directly above. I still believe these must be very rare. This one has some differences, though, it's got QUI in the day window, which stands for Friday, in Portuguese. 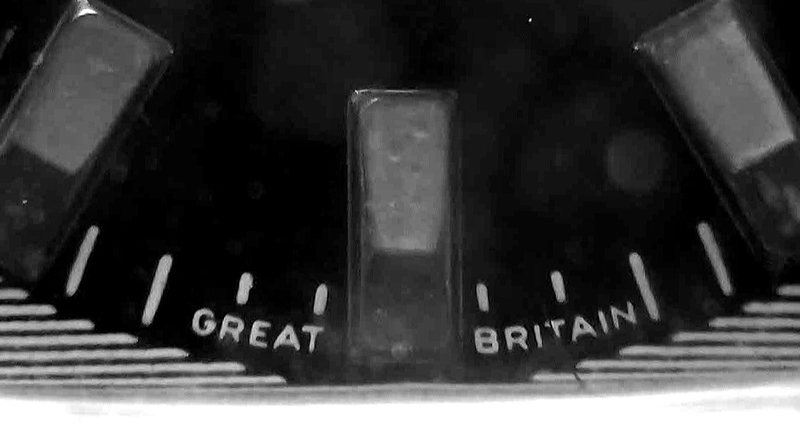 Also, it is not marked GREAT BRITAIN anyplace, where the original one I found had it in three places in the watch. Made for Portuguese language market, clearly, but where was it made? 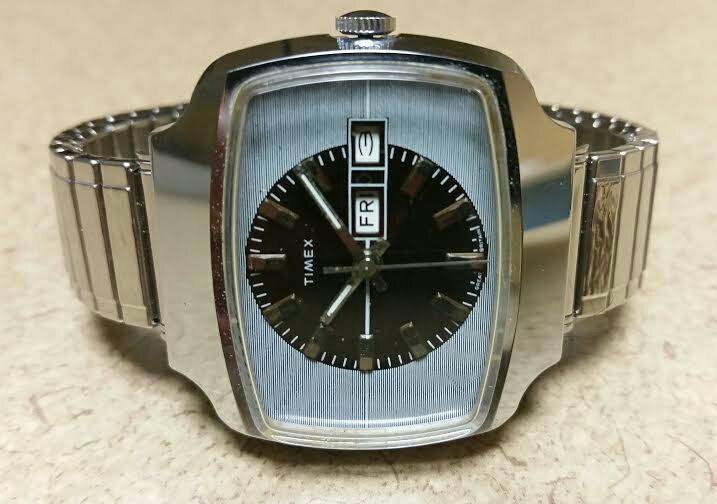 For more pics and some info on this other "TV dial TIMEX," see this link.